LessThanPi Art: The Incredibles Study! Another movie study. 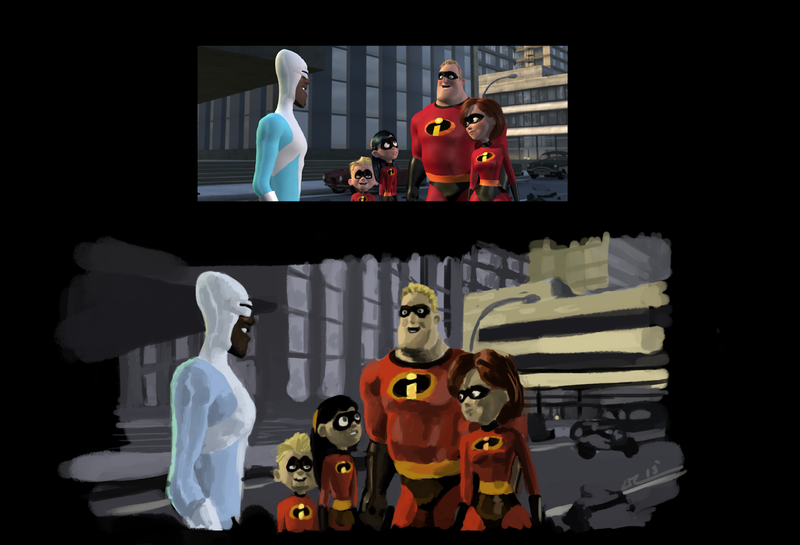 Man... doing this one got me in the mood to watch some of The Incredibles! I've always been a huge fan of the movie, in fact it has been sitting very comfortably in that number one spot up until I saw James Cameron's The Avatar. As per usual I recorded this one. but if you are here on the site you get a little sneak peak before my YouTube subscribers even know whats going on. What I do know is that I ended up taking many a detour watching random youtube clips from the movie and just reliving the whole experince I got when I first watched the movie... It really is a great film. Okay guys... Thanks for taking the time to step out and check out my art. I am very thankful for it. As always God bless, be safe. No need to learn something all the time. It's just as important to have some fun while enjoying a favorite movie.